Finding ways to making riding transport fun and convenient takes innovative thinking, and sometimes, courage to think outside the box. Photo by Adam Cohn/Flickr. South by South West (SXSW), the yearly festival that celebrates all things in entertainment technology, has just wrapped up in Austin, Texas. The festival featured many cool and innovative new devices – like virtual reality goggles, a computer that doubles as a chef, and shirts that track how much you’ve sweat. You can’t quite justify that you necessarily need them, but you most certainly want them. Caught up in this spirit of gaiety here at TheCityFix, we’ve compiled our favorite list of gadgets in sustainable transport. They might not be the most practical or the most impactful, but we can ignore all of this for a moment and just think: wouldn’t that be awesome? Or, at the very least, highly amusing. 1. One commonly cited reason for choosing the private car over public transport is a concern for cleanliness. However, The Independent conducted a survey of 6,000 Londoners to see if mass transit increased likelihood of getting the flu and found that those who used mass transit were 15% less likely to get sick; now, those who gripe will have even less of an excuse. 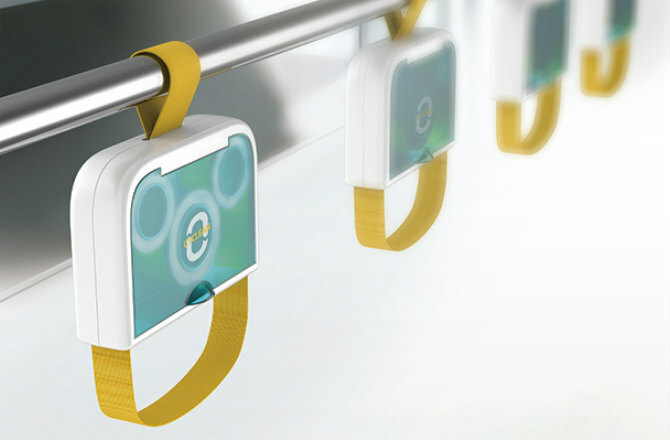 The designers from Cyclean have recently created a bus/train handle that people can hold while it disinfects their hands. The Cyclean works by slowly cycling the handle through a chamber with a disinfecting sponge when riders pull down on it. When users pull down on the handle, the strap rotates through a sponge with a disinfecting solvent. Image by Red Dot Exhibition. 2. 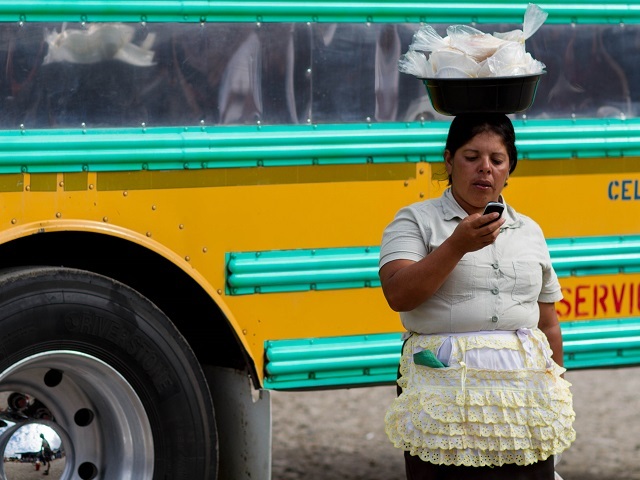 TheCityFix believes that sustainable transport should be accessible to everyone, no matter where they are. Now, you can take this motto to an extreme with the Gig Pack, which transforms from a backpack to a scooter, allowing you to take your sustainable transport to school to get you to class on time, to a date to look your coolest, or to the airport to get extra special attention from airport security. 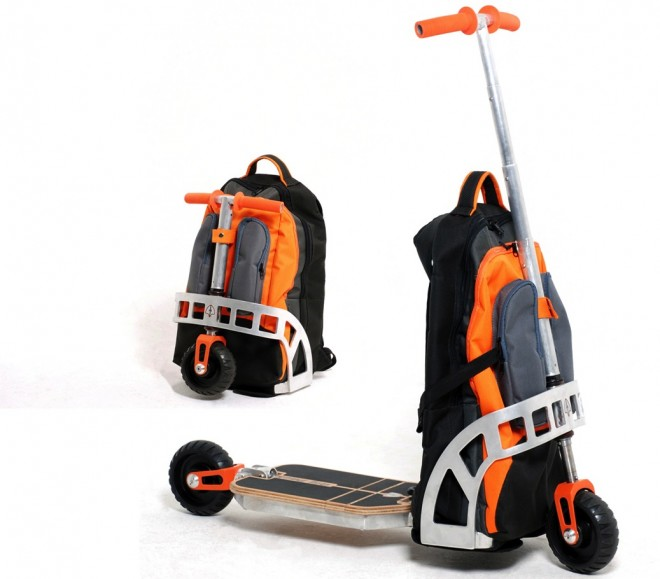 Users can fold out the handle and wheels when they want a scooter, and fold the parts back into the backpack for easy carrying. Image via Wired magazine. 3. Sometimes you want to get where you’re going using sustainable transport. Sometimes you just want to take Instagram photos where it looks like you’re riding an invisible broomstick. When those two occasions collide, there’s Joey Reiter’s electric bike. 4. The Flappy Bird or 2048 smartphone game has consumed many a commuter’s morning. Now, designer Jian Qian has created the Game Strap, which allows commuters to play video games on subway handles. The games are operated through users’ hand movements, and vibrations and messages occur when stops are coming up so that no one will get so involved with the game that they miss their stop. This game may even incentivize younger people to use transport, and be active while doing so. You’d just better hope you aren’t standing next to a really enthusiastic gamer. Tell us what you think! Have an idea for a gadget or device that helps you move around the city sustainably? Leave a comment below. Friday Fun: Design your own transport network!